Model: 5 Masaru Kohno (formerly Kono) was born in 1926 in Mito, Japan. 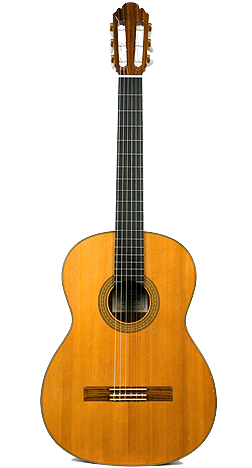 Kohno worked as an apprentice for Arcangel Fernandez. 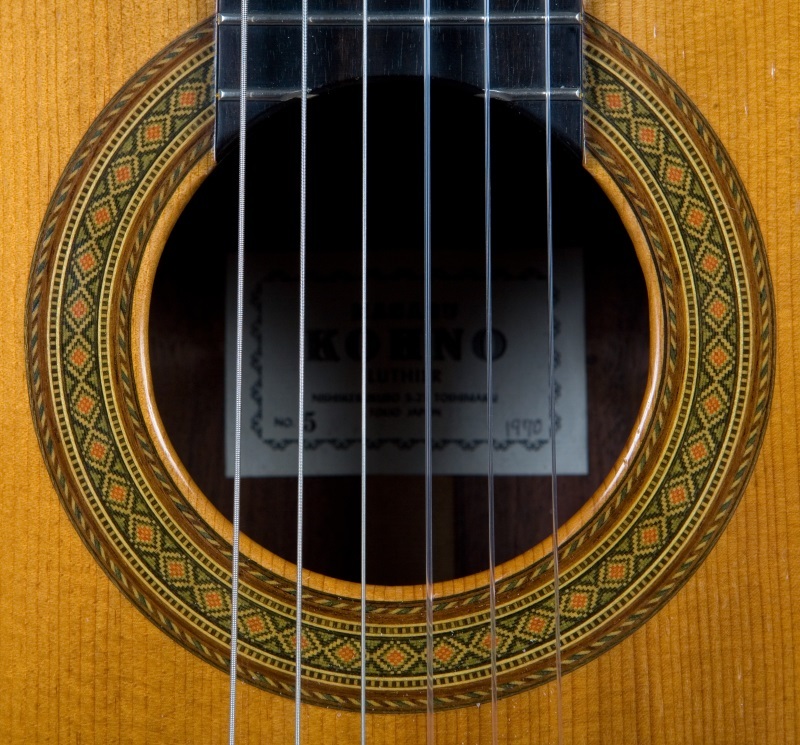 In 1967, Kohno was awarded the Gold Medal at the Elizabeth's Concourse International Guitar Building Competition in Belgium. 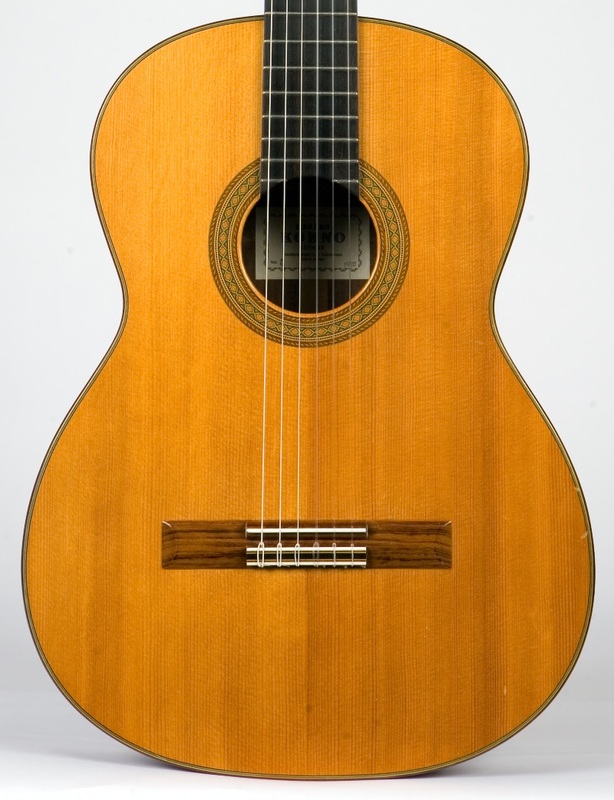 This guitar was made in Kohno's old shop. 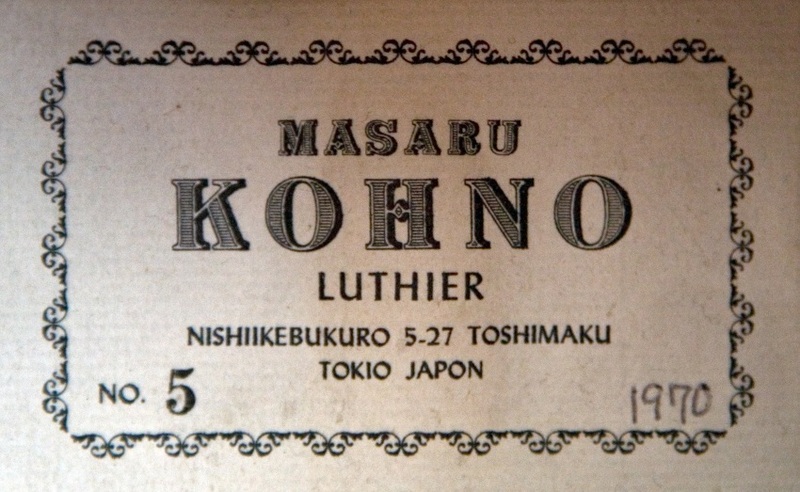 #5 was the least expensive of Kohno's concert models at the time. 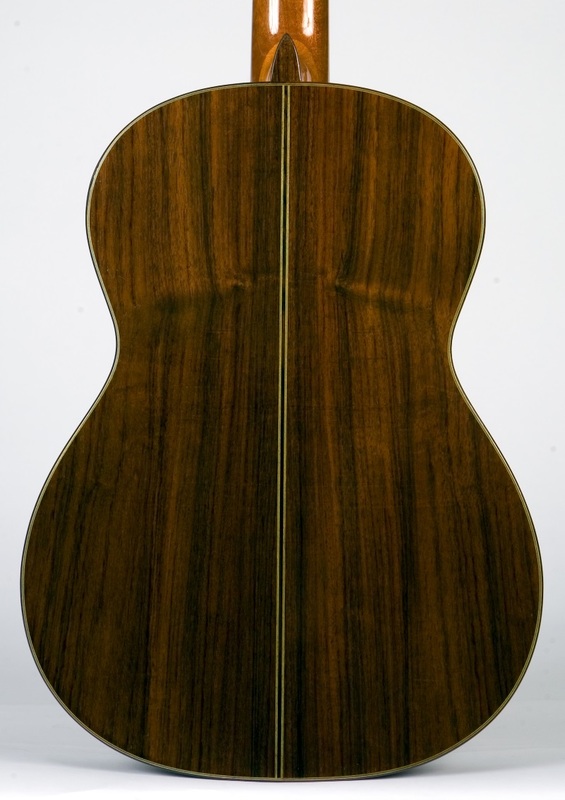 According to my correspondence with Masaki Sakurai, Kohno made all the tops of the guitars with his label. 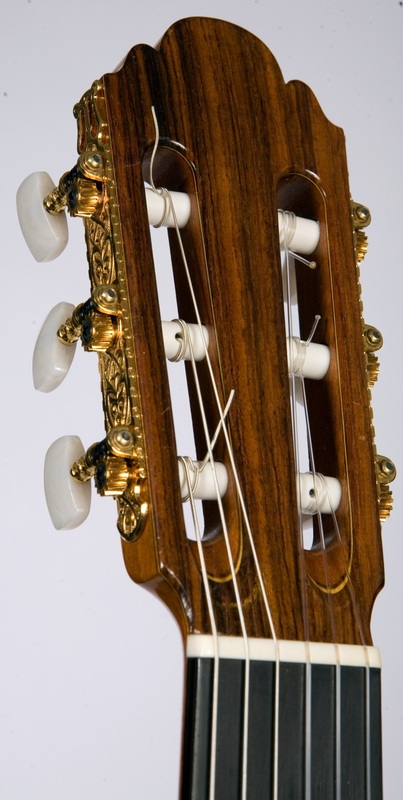 This is a beautifully build concert instrument at a remarkable price.